Many guests at our Abilene hotel are in town to visit loved ones or for an appointment at Hardin Simmons University or Abilene Christian University. Whether you're here for business at the university or a special event at Taylor County Expo Center, our Abilene hotel is your home away from home. Hendrick Medical Center is also in the neighborhood, so guests visiting patients can easily commute back and forth. We understand that location and value is key, which is why we prioritize both. With plenty of truck and RV parking along with ample and adjoining rooms, our Abilene hotel also caters to truckers and adventure seekers on road or camping trips. We offer easy access to the interstate, so it's simple to get around the region. However, it's our outdoor pool that really seals the deal. It's the perfect place to keep cool from the Texas heat, after the air conditioned rooms, of course. From the Abilene Zoo to Shotwell Stadium, there are plenty of exciting things to do in this region. The Abilene Race Park is a must for adrenaline seekers and families, and the West Texas Fair and Rodeo can't be missed. Western Heritage Events draws guests from around the south, and the Abilene Christian University Sing Song is always popular. If you're traveling for business, allow our Abilene hotel to make your work as comfortable as possible. A few of our regular business guests are in town for work with Abilene Regional Airport and the Civic Center, and we also welcome service men and women with Dyess Air Force Base. Well-appointed and quiet rooms are a must for taking care of business, and that's exactly what we deliver. 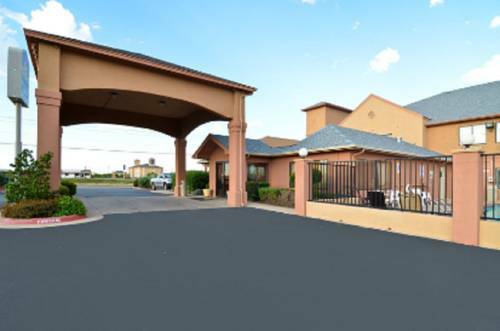 Book your next stay at Best Western Abilene Inn & Suites for a comfortable trip! Enjoy your stay.